Automatically Explore Distinct Customer Segments Right Out of the Box. Who are my loyal customers? Who are most likely to churn? To engage? Segmentation is critical to any marketing strategy. But trying to uncover key customer segments from billions of data points is cumbersome. Grouping them manually can be like finding a needle in a haystack. Despite a need to identify actionable differences in customer behavior, marketers end up spending too much time comparing data sets. 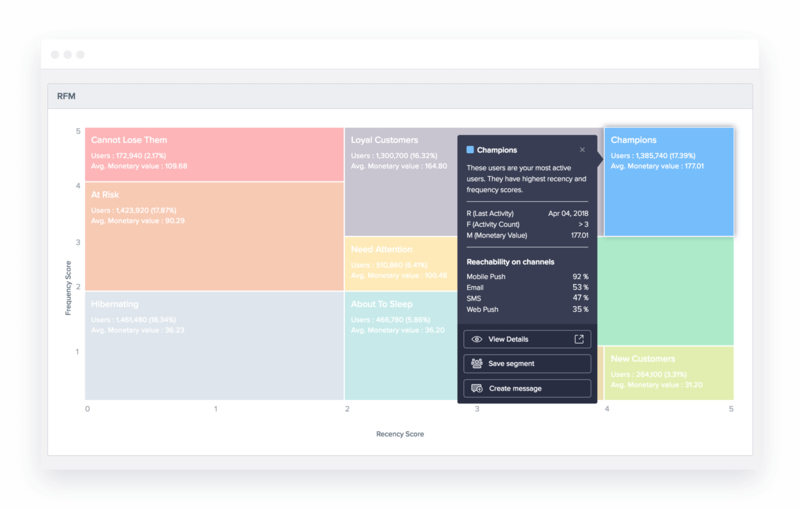 Our best-in-class automated segmentation technique – via recency, frequency, monetary (RFM) analysis – examines your customer activity to identify how recently and frequently they performed an action such as purchasing a product or booking a trip. 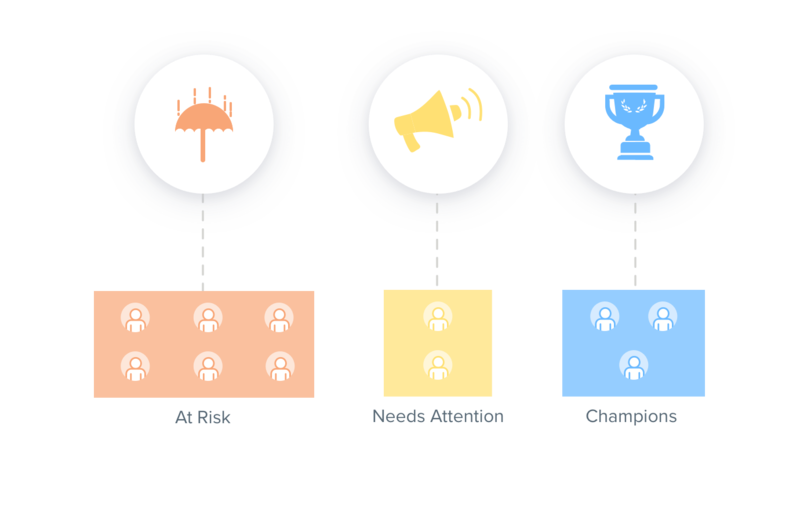 It divides your audience into distinct groups that range from champions and loyal users to at-risk and hibernating customers that are likely to churn. 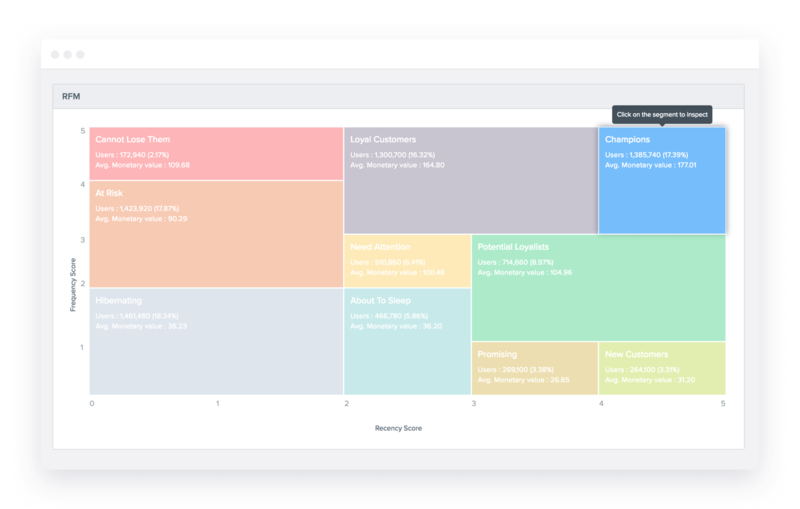 In one intuitive view, you can identify customers that moved from one segment to another and constantly fine-tune your engagement efforts. Are new customers becoming champions? Recommend related products in push notifications. Are at-risk customers moving into the hibernating segment? Re-engage them with personalized reactivation offers. Marketers often struggle to attribute the right monetary value to a segment. Without automated segmentation, it is easy to overlook high value customers or miss re-engaging at-risk customers at the right time. Automated segmentation gives an aggregate value such as purchases, readership, or subscriptions for each customer segment. 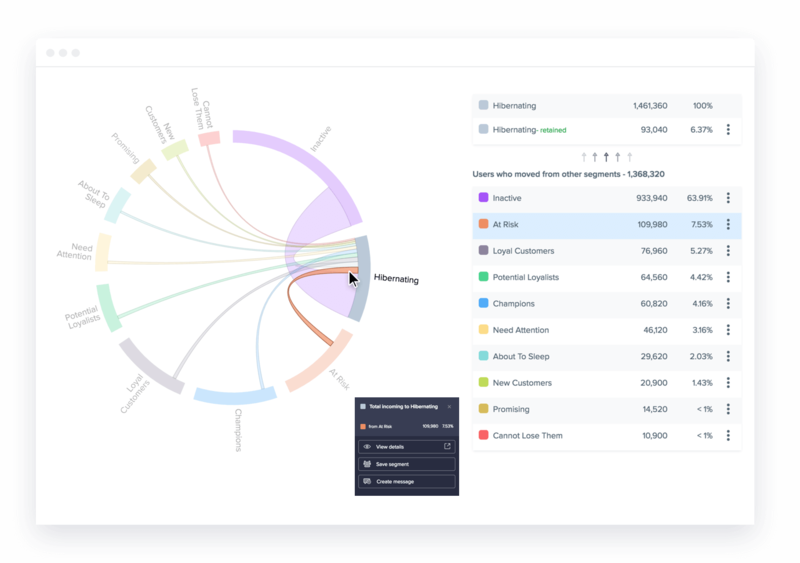 With insights into your most valuable and least valuable customers, it’s easier than ever to determine the spend on your marketing campaigns. CleverTap’s automated segmentation also brings you channel-specific reachability metrics for each segment. Determine the most effective channel of communication such as mobile push, email, SMS, and web push to adapt your messaging and prioritize every segment’s unique engagement preferences. RFM metrics are important indicators of a customer’s behavior because frequency and monetary value affects a customer’s lifetime value, and recency affects retention, a measure of engagement. 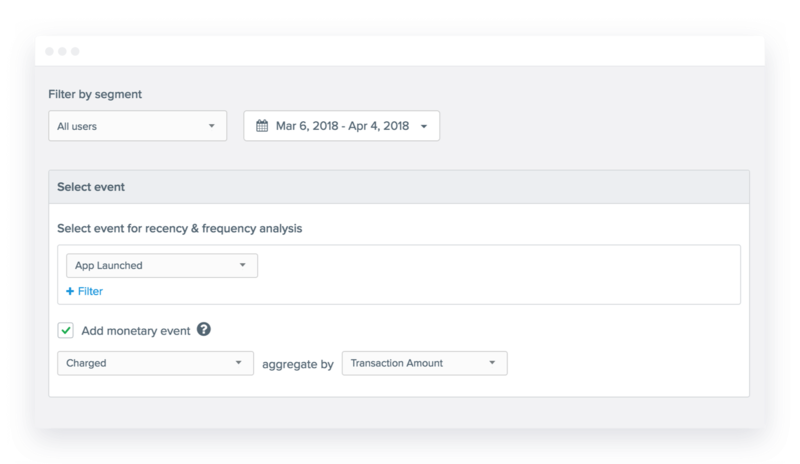 RFM Analysis (aka Recency, Frequency, Monetary Analysis) breaks your user base down into segments based on how frequently and recently they’ve launched the app and provides engagement strategies tailored for each segment. In the webinar, KC Karnes, Director of Marketing at CleverTap, shares strategies around automation, personalization and engagement and why mobile marketing automation is a must-have in 2018.